Steelers’ winning touchdown catch not a catch. Ben Roethlisberger of the Pittsburgh Steelers walks off the field at the conclusion of the New England Patriots 27-24 win over the Pittsburgh Steelers at Heinz Field on December 17, 2017 in Pittsburgh, Pennsylvania. 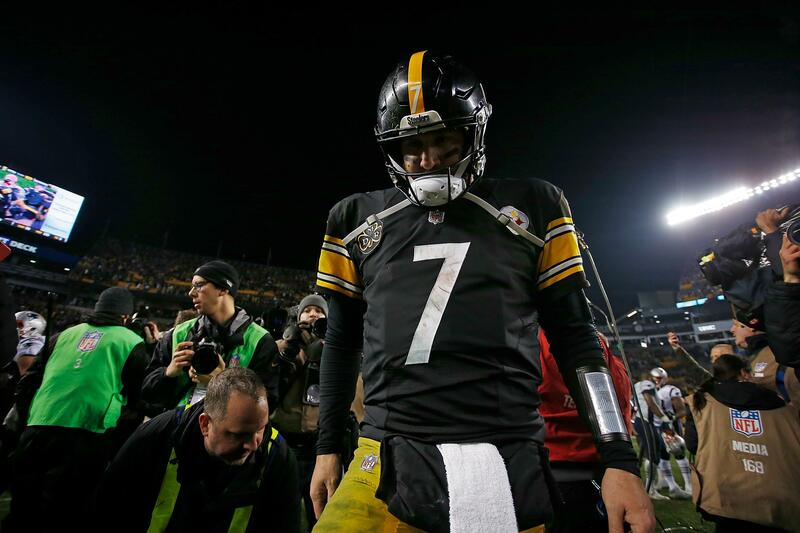 On Sunday evening, the Pittsburgh Steelers lost to the New England Patriots 27-24 after it looked like Pittsburgh’s Jesse James had snagged the winning touchdown with 28 seconds to go. While it was called a touchdown on the field, James’ catch was overturned after a replay review, with referee Tony Corrente ruling the tight end didn’t maintain control of the ball as he went to the ground. Player Going to the Ground. A player is considered to be going to the ground if he does not remain upright long enough to demonstrate that he is clearly a runner. If a player goes to the ground in the act of catching a pass (with or without contact by an opponent), he must maintain control of the ball until after his initial contact with the ground, whether in the field of play or the end zone. If he loses control of the ball, and the ball touches the ground before he regains control, the pass is incomplete. If he regains control prior to the ball touching the ground, the pass is complete. And here’s rules guru Mike Pereira’s explanation—given that he starts his explanation with “Look,” the man clearly knows what he’s talking about. Back to the rulebook: Did James “remain upright long enough to demonstrate that he is clearly a runner”? Not sure! Did the ball “[touch] the ground before he [regained] control”? Beats the hell out of me! Did it look a football person caught a football during a football game? Sure did! Two plays later, Ben Roethlisberger faked a spike and then threw an interception in the end zone. Congratulations to Tom Brady, Bill Belichick, and the New England Patriots for finally catching a break.